Eighteen months ago it all started with the following 171-word blog post. I have spent the last few days taking time to pray on what this verse means to me. 2 Timothy 1:7 God doesn’t want us to be shy with his gifts, but bold and loving and sensible. This is the 2011 MOPS (Mothers of Preschoolers) theme verse. It is the first one in 7 years to shake me by the shoulders and demand my attention. Sound violent? Well, just think how I am feeling. It is violent in a good way! It is one of those perfect storm kind of moments where life experience, leadership possibilities and personality meet. I feel like this one is just me. Hopefully it strikes the same chord with the entire MOPS population. For me it is giving me permission to be ME. To use my gifts of leadership, experience and ease with others. For years I have unconsciously thought, “oh now Kristin don’t do this or that”. Well that voice needs to be stopped. I am ready to live boldly and help other women to do the same. I had just returned exhausted and exhilarated from the 2011 MOPS (Mothers of Preschoolers) Convention. It always is a great weekend break from my mothering reality. In 2011, I left my three kids for not just a break. I was in search of a holy time for restoration, retooling and affirmation. A MOPS Convention is packed with nationally known speakers and authors at general sessions, popular music acts that inspire the crowd with their passion, and small workshops so I can tailor my experience to my needs as a leader, mother and woman. I have only missed one year. I still regret not making the choice to invest in myself. I had thought I was selfish if I went, but it has been years since I missed. Now I encourage others to not limit themselves. During this particular convention, I felt an overwhelming desire to be more bold and stop the negative self-talk. I had mindless conversations playing in my head of why I could or couldn’t do something. The idea of being bold to me made me feel free and empowered. Each year MOPS has a theme verse and I couldn’t have missed it if I had tried. The verse for the was shared in many different ways from posters, powerpoint and speakers from the general session stage. God doesn’t want us to be shy with his gifts, but bold and loving and sensible. (2 Timothy 1:7) It was a turning point for me. I deeply felt I had a mission statement for my life. It still speaks clearly for me to boldly love others with my God-given gifts. When I got home, my normal life rocked me back into reality. August is time for back-to-school, MOPS kicking into high gear, and all the routines crashing back into our family calendar. At that time, I was focused on everyone else. I still burned with the need to share and encourage others to be bold with me. I decided to blog, because it is a platform that I could share myself and inspire others. My first post was 171 words of vulnerability and exhilaration. My thoughts started living outside my journals and I prayed they would help someone else. It has been wonderful to have developed some supporters and I have posted 75 times since I started. I feel like I have stayed true to my mission statement. I want to am no longer focused on who reads the posts or how many readers I reach. I want to continue living in my awareness of being boldly blessed by God and I will blog to reach others who search insight, humor and a woman who is the real deal. I have said or thought all of the above many times. I love the purpose of Pinterest, but I am becoming less enamored with my interest. I have more of an addiction. I have even tried to equate it to fanatic sports fans. The fans that know every statistic for the past 10+ years. But I can’t do that any longer. They have a passion for a sport and the desire to know all they can to create a connection. I will confess that I have a need to be nosy into other people’s pins and a compulsion to pin things that I don’t even click through the blog it is associated with. OUCH. I rarely check out the pin farther than the initial picture. Who has time for that? 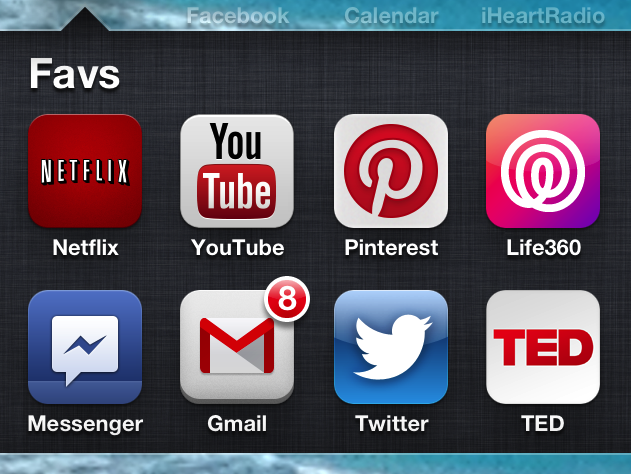 I do want to declare that I am not opposed to Pinterest at all or your use of it. I am opposed to mine. I think I am pinning when I could be learning from those I know in my life or future friends. Sure, maybe I can search Pinterest for Disney trip tips, but wouldn’t it be better to ask my friend who just went. I could learn from someone and make a real connection. I bet they would be happy to help me. A recent pinning rampage was an overseas trip I am interested in researching. I immediately started looking at Pinterest and started pinning to a private folder. I was pinning before it dawned on my that a new neighbor is from that country. Of course, I should go to her as my expert. Wouldn’t I rather have her as my guide and connect in real life? YES! I have tried to defend my pinning with my desire for research. For the year I have been on Pinterest, I have been stuck in the R (research) stage of R&D. Very little has made it to the D (development) stage. I have probably only made a couple of recipes and tried a few home decor ideas. So, then why do I have 114 BOARDS? How did that happen? And those boards have 2,878 PINS! How did this happen? Please tell me I am not alone in this mindless addiction? Please! Maybe you are like me and pinning away on your Pinterest app. Mindlessly pinning away. I rarely ever log into the Pinterest website, because I find it too overwhelming and cluttered for my taste. (Hope you can see the irony in this confession!) It has been 6 months since I have logged onto the Pinterest website. That is when those statistics burned into my retina and made my heart race. Shock and dismay rolled over me like soul-searching waves. I was truly not aware of my dependence on this app. Immediately I thought I need to start doing and stop pinning. My research side kicked into gear. I wanted to know more about where I spend my time and find out what it says about me. I bet your boards say a lot about you as well. Sure, a lot of mine are what I have mentioned: party plans, birthdays, and travel. Many are for this specific phase of my life including parenting, cleaning, and cooking. But those don’t have high numbers. I had to find the board with the most. It would show me my true interest and a reflection of what I want to change the most. As I scrolled through 114 boards, it jumped out at me and made me loudly laugh in my quiet house. There it was 1,124 pins in one board. There they were 1,124 pins of sayings, quotes, and phrases that I resonate with me like a gong. The board is called, Things for My Wall. Can you imagine how BIG that wall would have to be to even if the sayings were on sticky notes? I can’t say for certain, but I am pretty sure that only 3-5% might be duplicates. I glanced through the entire board and I didn’t see any, which means that I probably have a secondary problem. I also have Pinning OCD, if I can remember what I haven’t pinned before. What a waste of my brain! Einstein would have a hay day with my wasted brain usage. He believed in not remembering small details you can look up. “Only put in enough energy and effort so as to pull out of life what really matters, what you really want. Be organized enough that you can find everything you need or want, when you need or want it. But don’t fret over the small stuff. And have a way to be confident you can tell the small stuff from the big stuff,” was Einstein’s advice to be less cluttered. I need to take this saying from my imaginary wall and keep it close as a mantra. Einstein or not:: What good is all this inspiration if it is stuck on a make-believe wall on a Pinterest board? Some that follow my pins might see it when it is initially pinned. What impact does that make? They don’t know why I care about those words or why they could too. Am I alone in wanting to change the world with my pins? I know that my budget board with 4 pins isn’t where my passion is found or shared. Something must come from my new awareness and my 1,124 pins of inspiration. 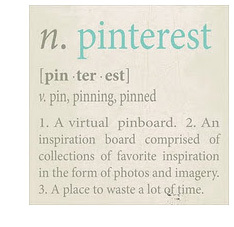 What Pinterest board do you have the most pins for? Here is what I have done to change my behavior today with my iPhone! Baby steps! AFTER THIS BLOG – Take that Pinterest! Usually around February my known world gets shook up. Here is the run down on my significant Februarys. February 1998: I was selected as a new sales employee for Fred Pryor Seminars, a training company. I didn’t graduate until May, but they were willing to wait for me to finish and join the team. This plan allowed the usual senior job crisis to not effect me. I truly loved my capstone classes and time with my friends. The fact I was joining an organization that was based on life-long learning was an amazing step. February 2007: I gave in and we purchased a one-year old orange mini-van and added our then two car seats. (Ian was 5 and Kaylee was 2.5) I knew that day our van, our home and our hearts needed another Wooldridge. More praying and listening. Rhett was born June 2009 and helped fill our mini-van, home and hearts in unmeasurable ways. February 2010: I did my best to support my dear friend during her loss and my mom as she faced chemotherapy for breast cancer. I became a basket case. I had major times of doubt and questioned my faith in the same moment, I prayed for God to be with those I loved dearly. Now my friend and mom are my biggest cheerleaders to this day. February 2012: I felt like God was putting many different encouraging voices in my path that guided, nudged and urged me to apply for the CREATE Masters of Divinity program at Central Baptist Theological Seminary in Shawnee, KS. More praying, worrying and doubting flooded my days. I pushed through it and applied even though I was terrified. I know my steps were guided and I was accepted to the fully scholar-shipped program. 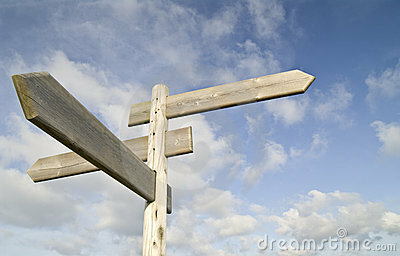 February 2013: In two more class I will have finished my first of three years for my masters. Balance, commitment, and family are the three guides for my life now. It is fulfilling, challenging and divine. And completely unexpected. It keeps working out. I didn’t know how it would work out each February, but looking back it speaks volumes to believing God will provide a path for me. My heart always leaps a little for February and I hope it always does. I hope you can find your month of calling and for you to see you have already been guided divinely or will be soon. Love and Blessings to you and your families. PS – I felt compelled to share this note with you. I wrote it for the MOPS@2BC February 2013 newsletter. I hope if you read it earlier, you can feel a clearer stirring of your own month. OK! So, I don’t have a ton of notches on my sled, but I have enough to share some tricks from the past five years of grade school mothering. Never feed the pre-hype for school possibly being cancelled. This can back fire when you do have to motivate your troops and get them OUT! In preparation of possible snow day(s); get some FUN food that you usually don’t have in the house. You know the things your kids tell you they eat at their friend’s house. Sure having soup, grilled cheese and cocoa are staples on snowy days. But surprise them! We will be celebrating with brownies and cool whip! Don’t let the day just unfold. Talk to them and “let” them decide the day. This works great when you need to remind them what they might miss out on if they keep throwing a fit. Sure snow days are hard on the schedule, but if you can be home with your kids; become a kid!!!! Let loose! Play outside. Throw the first snow ball. Make snow angels. Show your children that being an adult can be fun too! Plan for some quiet time during the day, especially after playing hard outside. We usually watch a movie and snuggle down under an avalanche of blankets in our basement. I also highly recommend silly, loud times! I can’t wait to start the first “tickle tackle” with the kids. If you have older kiddos, put them to work! We will get some mad dash race cleaning done tomorrow and I am pretty sure I know a 10 year old who will be shoveling my sidewalks. If you have younger one, have them pick up! Last but not least… Fights, Tears and Personalities are also part of a snow day. Let laughter, forgiveness, and compromise be the goal for the day. P.S. 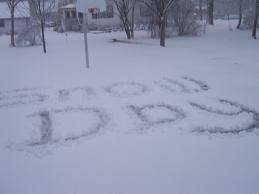 Here is a fun website for you to “predict” the number of snow days you might have for your area. Looks like 2 for Liberty! I was just sitting on my comfy living room couch working along on all my projects and loose ends that need tying up. To keep myself focused I usually turn on Pandora to the Tina Turner channel. My Momma didn’t raise no fool. Song after song is either Tina Turner, someone like her or music from the 80’s and early 90’s. It is one of my favorite channels because it just makes me happy. I usually end up singing along. As I write this Michael Jackson is belting out The Way You Make Me Feel. Yes, I am signing in my head as I write. Have you heard the line that music is just a memory? I’d have to agree. Earlier a song from 1991 came on and I instantly thought I had climbed into a time machine. I was transported to my bedroom when I was 15 years old. I could clearly remember singing into my microphone. I mean hair brush. Only one person seemed to understand me at that time, Ms. Whitney Houston. We would duet together on How Do I know He Loves Me. I remember begging for my Mom to drive me from our country existence to the mall 30 minutes away to get the single. Oh, the simple times before iTunes, YouTube, and CDs. I played that 99 cent cassette single continuously and I still have it. Every time I hear that song it brings back a flood of memories about the first boy I would talk to on the phone. Nothing too crazy or wild. It was huge at the time. I would sneak off and call. Of course, I thought my parents had no idea. Except looking back it seemed that they always ended up needing to make a phone call when I was on the house line. Hmm… that seems fishy now that I have a parental view. I would die of humiliation when they got on the phone and started dialing a number. I would get off the phone quickly and turn on that cassette single and sing. Whitney seemed to be the only one who knew about love, boys and how I was feeling. I will always know that song word for word. Those days of teendom are 20+ years ago, but music can make me feel that age all over again. Tell me one of your “time machine songs.” I’d love to know! 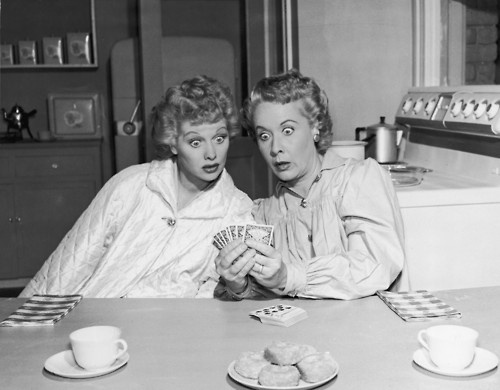 Make sure to check out yesterday’s blog post on Lucy and Ethel!! Come on now… you know what I mean. Are you the type of friend that creates crazy situations? Or are you the type of friend who is the accomplice to the crazy? You might be either or both depending on who you are with. You probably have a dominant I Love Lucy personality. According to Sabienna Bowman, Ethel needed Lucy just as much as Lucy needed Ethel. Even without a show to call her own, the legacy of Ethel can be felt in every best friend combo from Mary and Rhoda straight on through to the raucous ladies of Don’t Trust the B—in Apt. 23. Let’s take a closer look at what comes to mind with Lucy and Ethel’s personalities. I am without any doubt a Lucy. I have gotten amazing girlfriends into crazy situations more than once. Like the time I instigated a living /dining room flooring demo at my friend’s home. Yep, that was a big one. Our husbands were out all Saturday and we both didn’t have children to exhaust us yet and stop us from what we did to her home. It all started out simply. We were hanging out at her new-to-them home and talking about the possibility of hardwoods under the carpeting. I brought up how lucky we were when we pulled up two bedrooms and a hallway of carpet. We found great hardwoods under twenty-year old carpeting. I sure did. Oh, we knew it wasn’t going to be a project that we completed, but a mess we created. Then we did what we could, we cleaned! We worked double-time to get all the carpet and padding out, swept the floors and then figured out how we would face our husbands. We were dirty and little scared. We definitely had some esplaining to do as Ricky would have demanded of Lucy. To this day almost ten years later, our husbands still question what we are going to get into together. I am thankful tonight for my girlfriends. Those who are Lucys and those who are Ethels are both equally important to helping me have fun in life! To my Ethel friends, thank you for coming alongside me in my craziest of times. To my Lucy friends, I am sure another adventure is ahead of us. Hope you have a lot more adventures ahead of you too! Being his “person” reminds me of a great line from the show, Grey’s Anatomy from a couple years back. It is a different kind of “person” than the friendship described on that show. But it still stands true. I am his “person” and I will always be. I am actually 3 smaller people’s “person” and one adult’s. I try to not lose myself in all the doing, going and being. It is a lot of ever-changing, coaching, and communicating. I could use a nap just thinking about it all. We all know that there isn’t time for that. 🙂 I keep my plates spinning and my people happy. (most of the time) I am enjoying this phase of motherhood, family, MOPS Leadership, and master’s classes more than any other time yet. 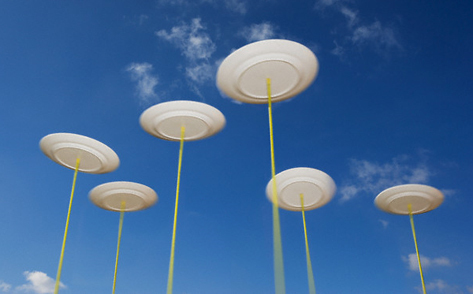 It is freeing to have all these parts to my life and I am thankful for all the plates to spin. Some days it seems like everything is falling apart and plates are crashing by the crate full. 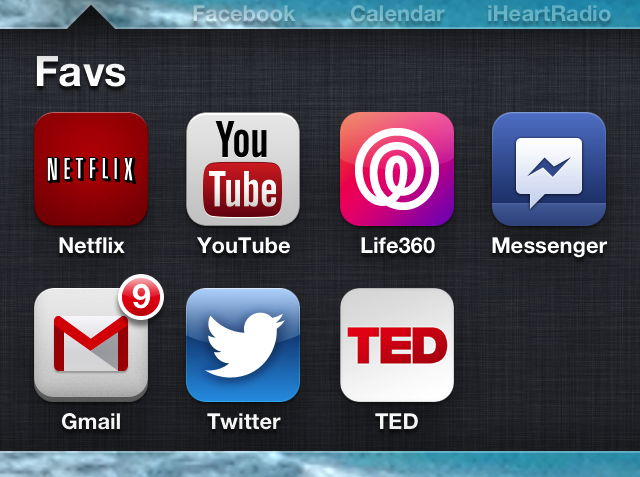 Those are the days that stick out when some one comments about the business of my busy-ness. It cuts a little, but I know that this crazy season is what I am in for now and it is a good thing I love it.